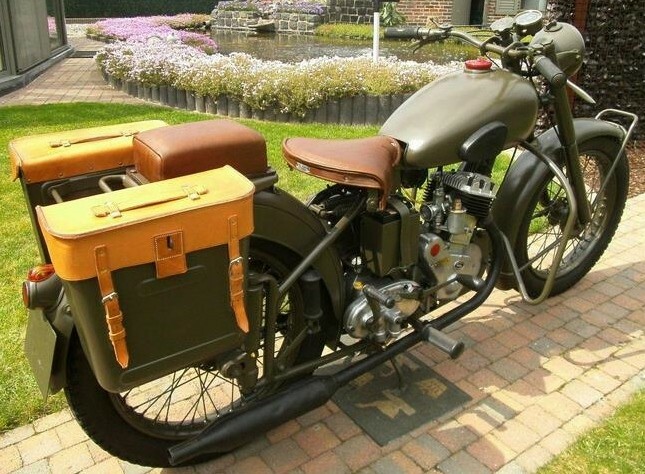 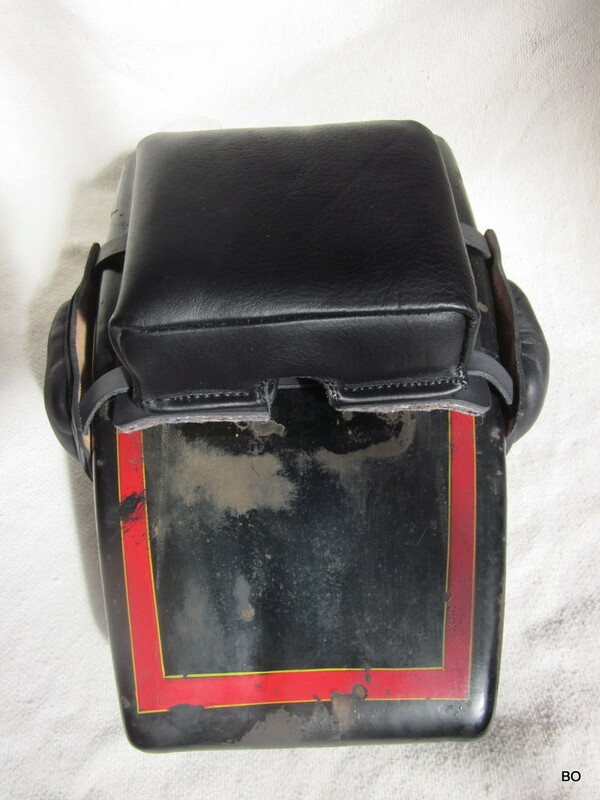 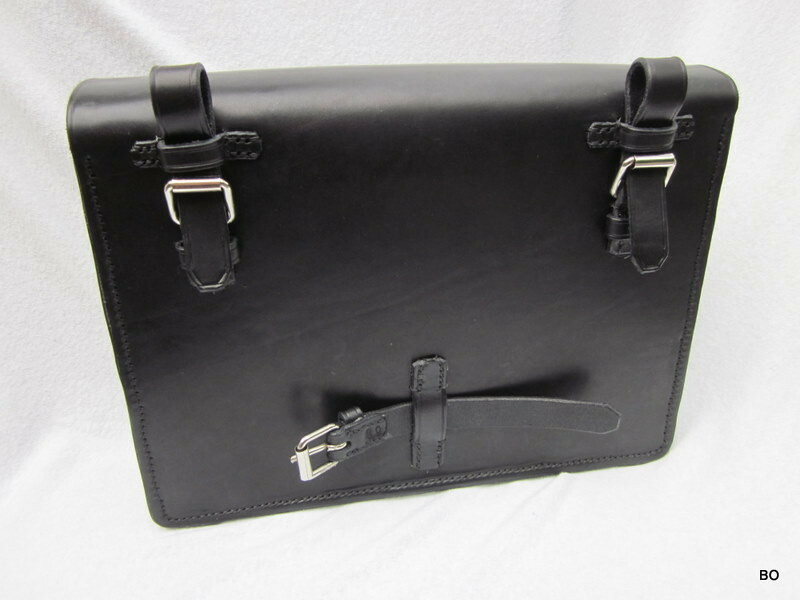 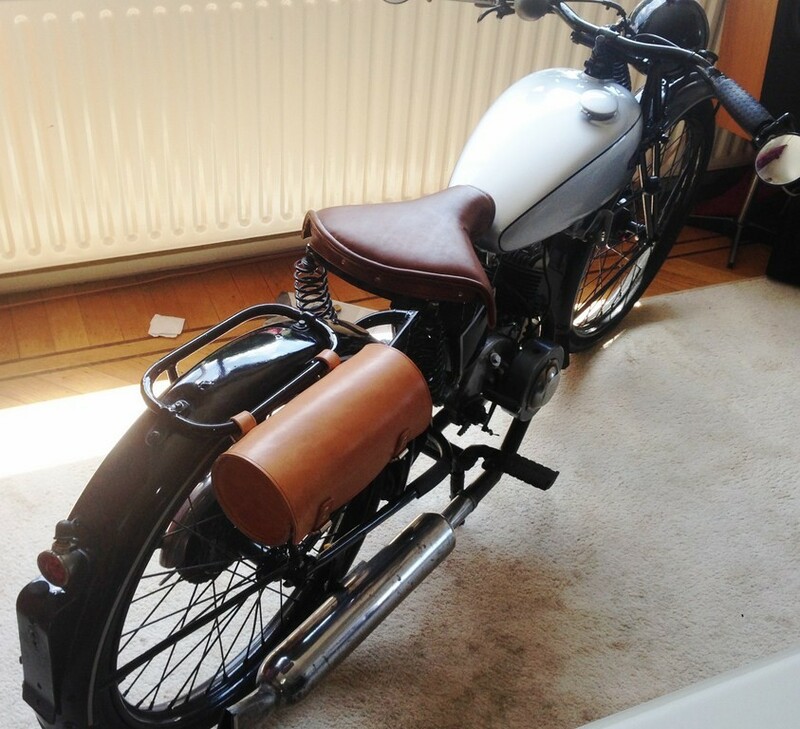 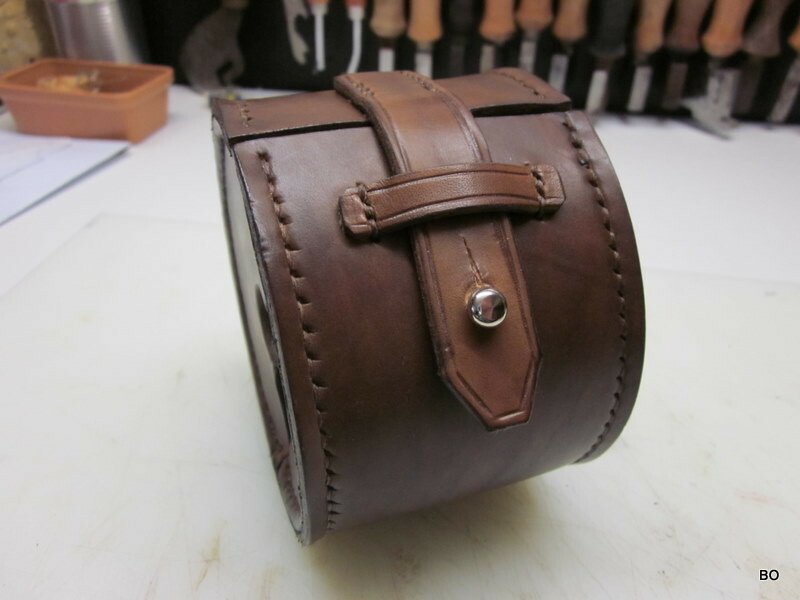 Below you will find some examples of leather accessories made to measure for old motorbikes and cycles. 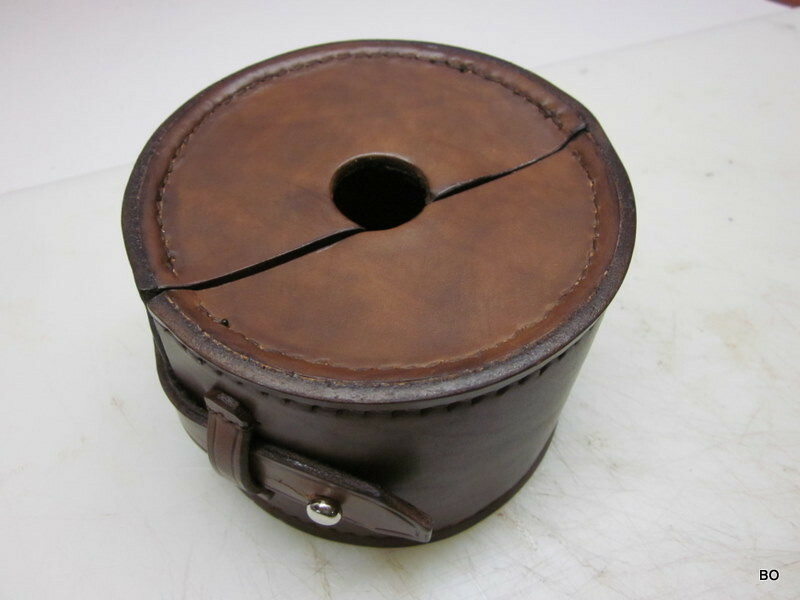 All wishes can be taken in consideration. 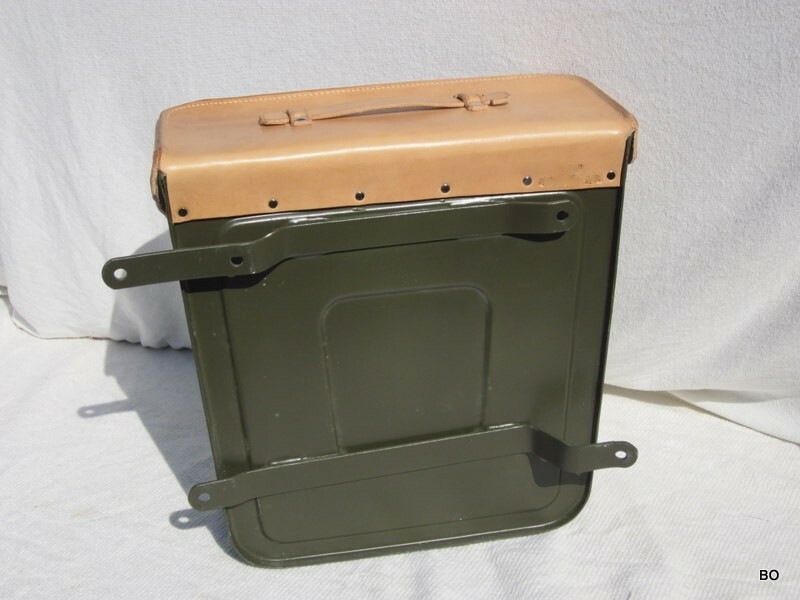 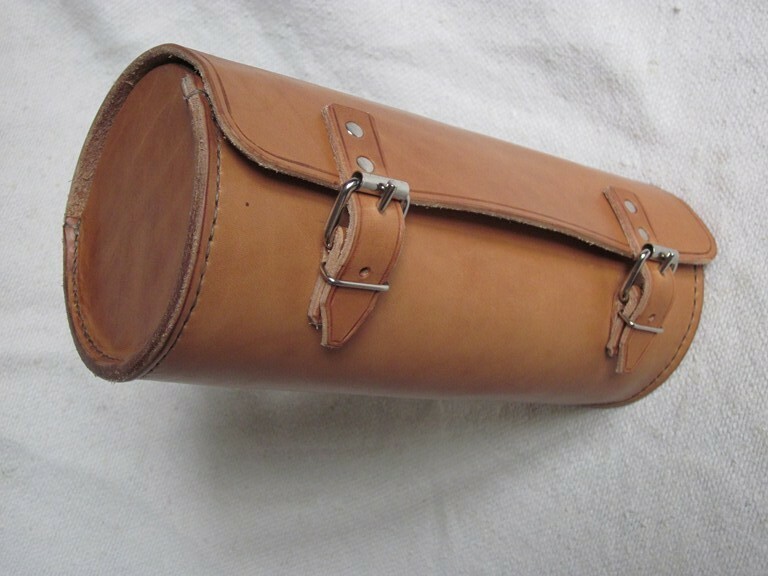 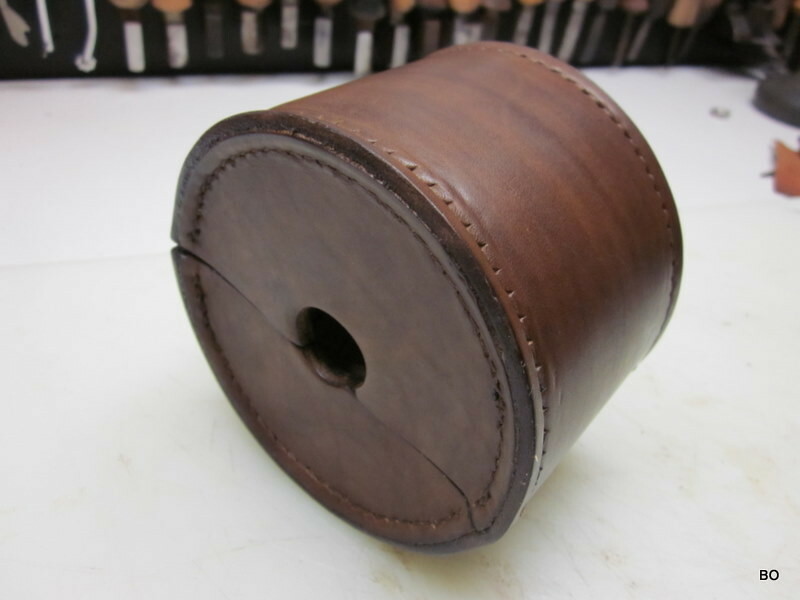 Toolbin wth new leather cover for bikes of the 1920s. 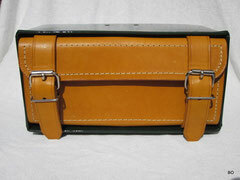 Other periods and colours possible. 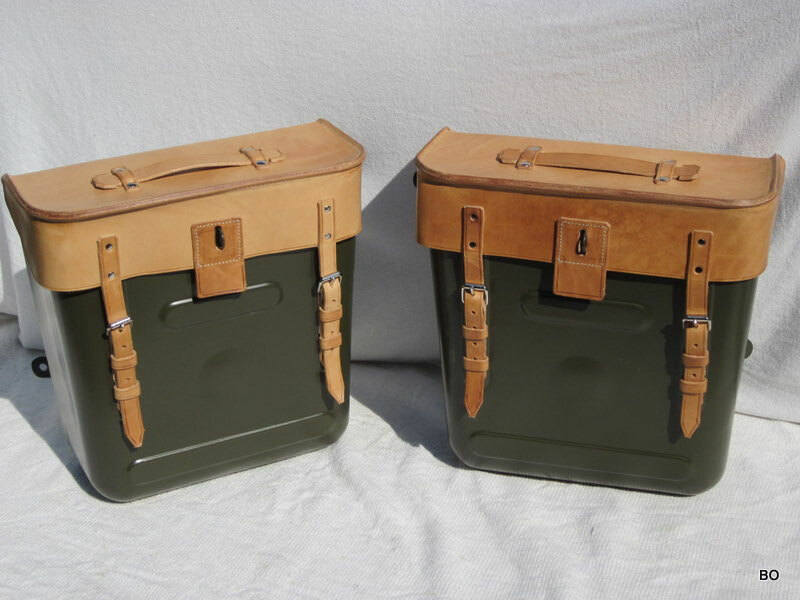 ABL-bags (anno 1950)for Gillet, FN and Saroléa-estafettes with new leather covers matching the original (natural). 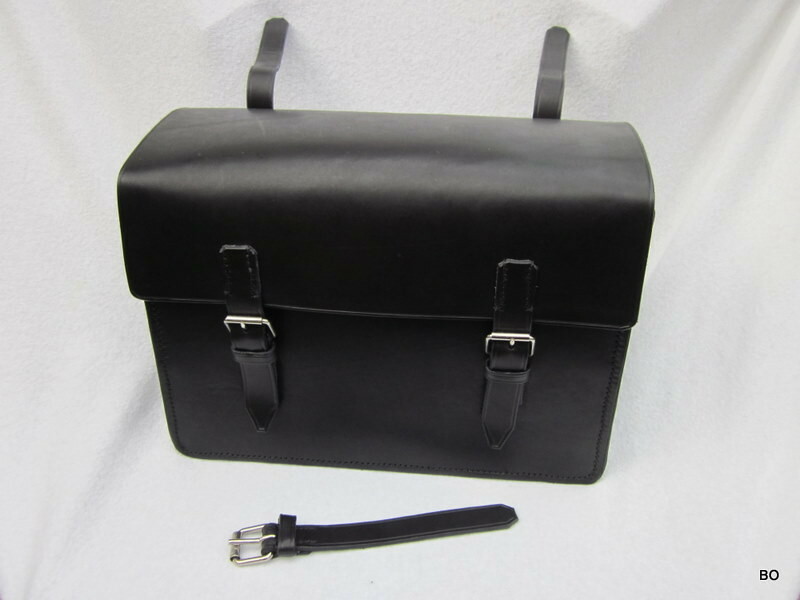 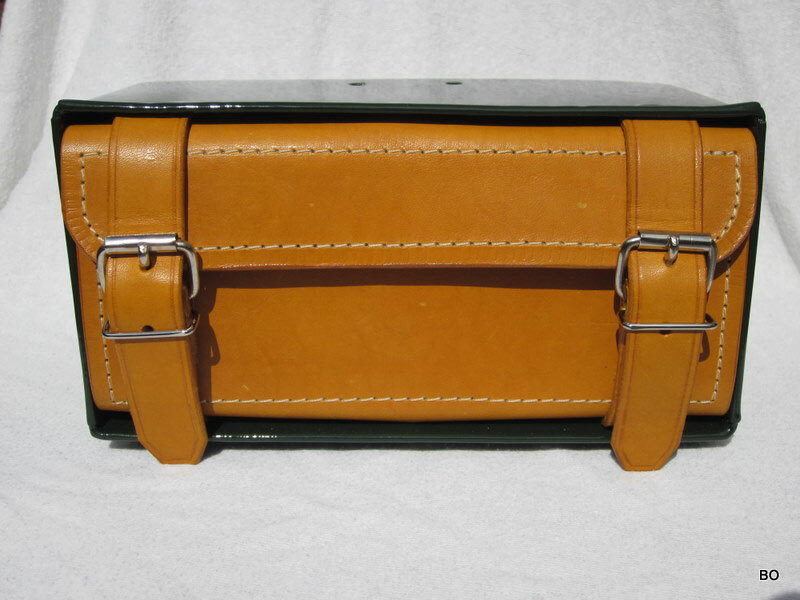 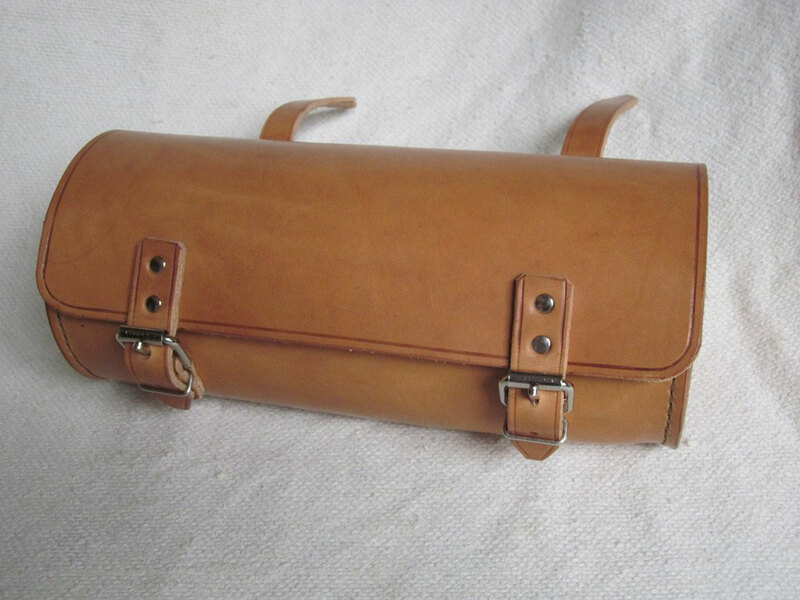 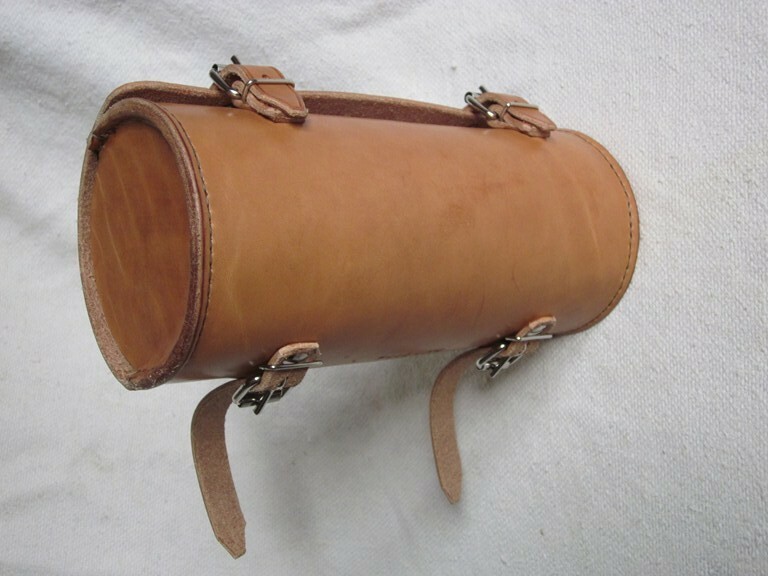 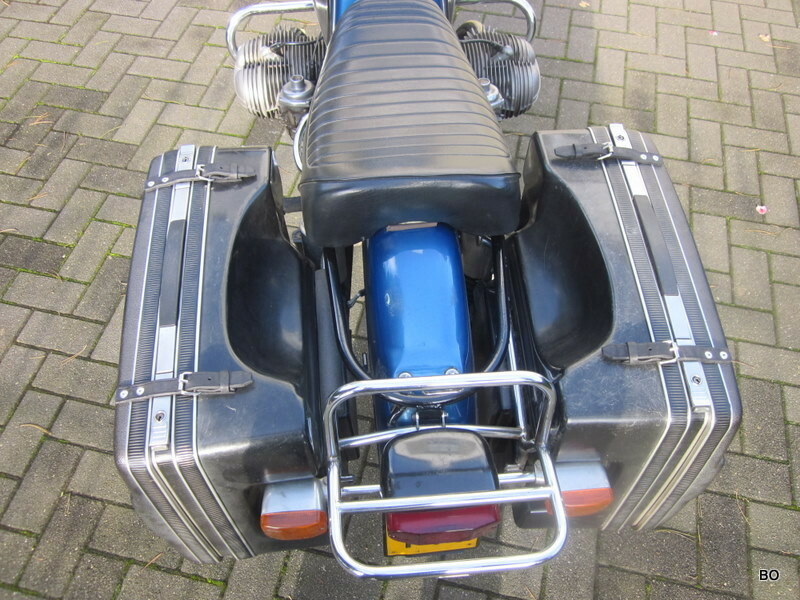 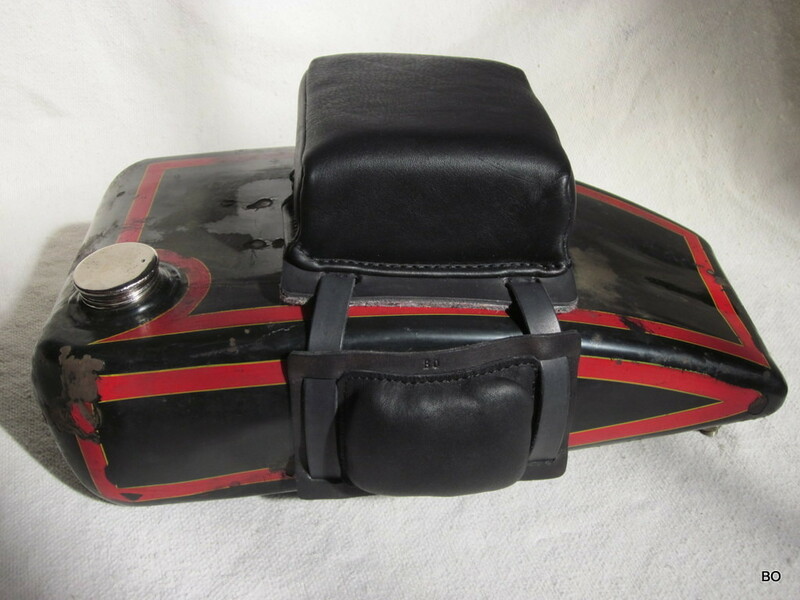 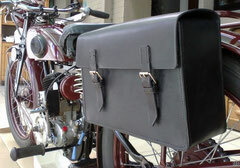 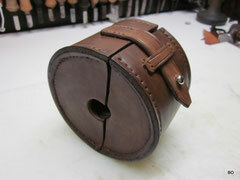 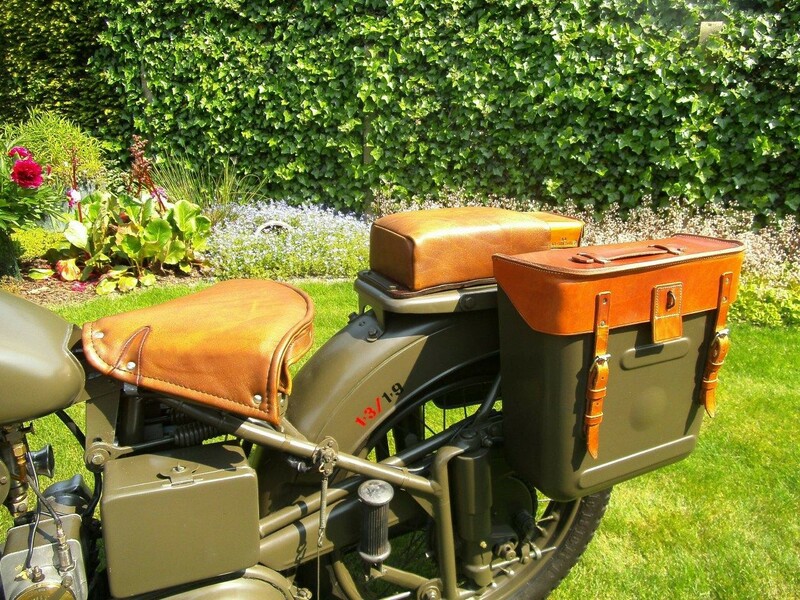 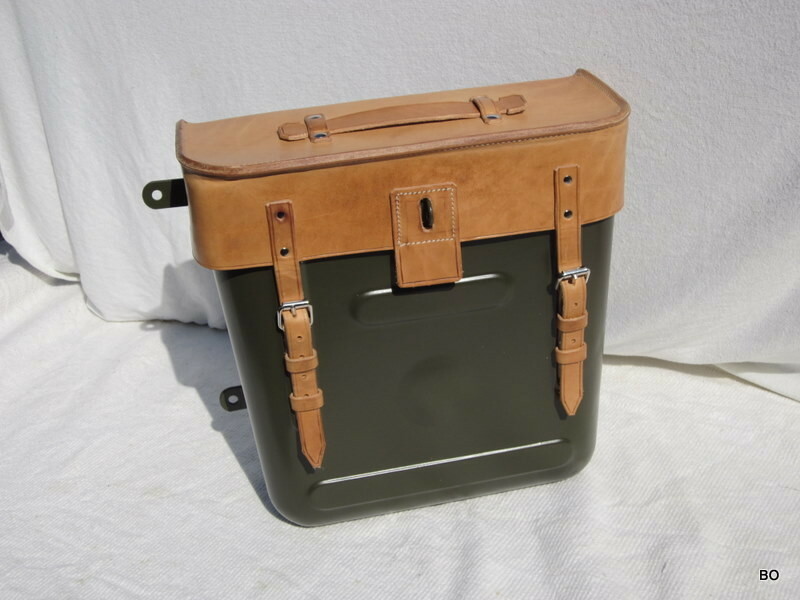 Saddlebag made to measure for luggage rack. 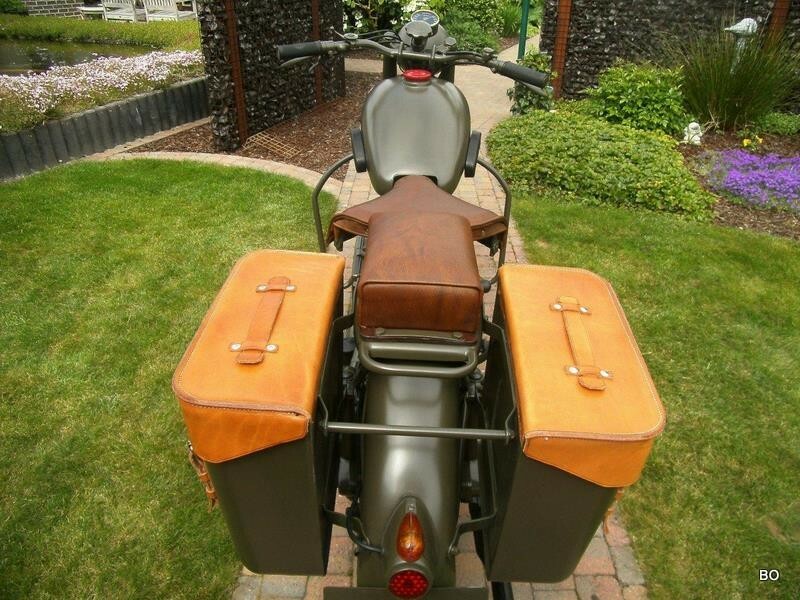 Toolbag to measure in sattle leather for luggage rack. 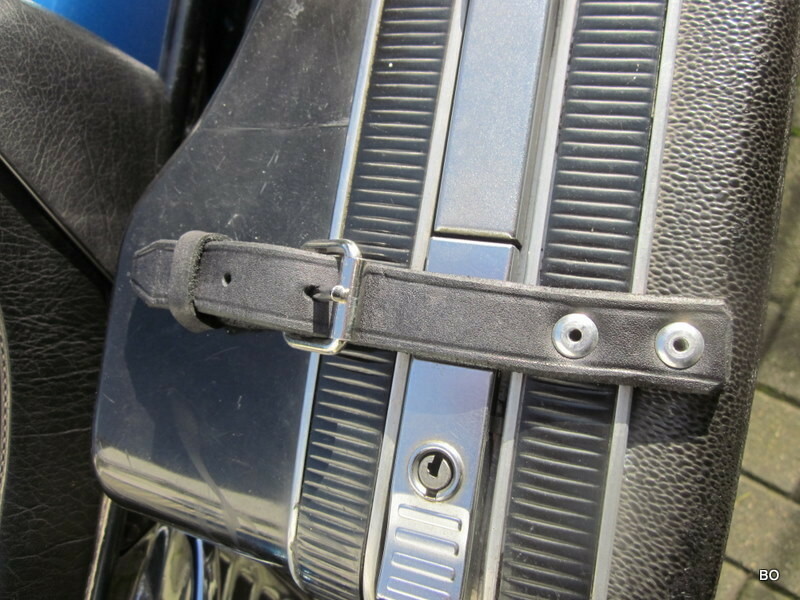 Special bag for spare tube to be fixed at the handlebar. 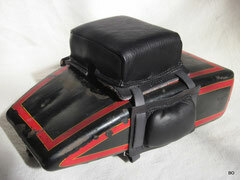 Entire set of buffer + kneepads made to measure for "entre-tube" bikes (1920s). 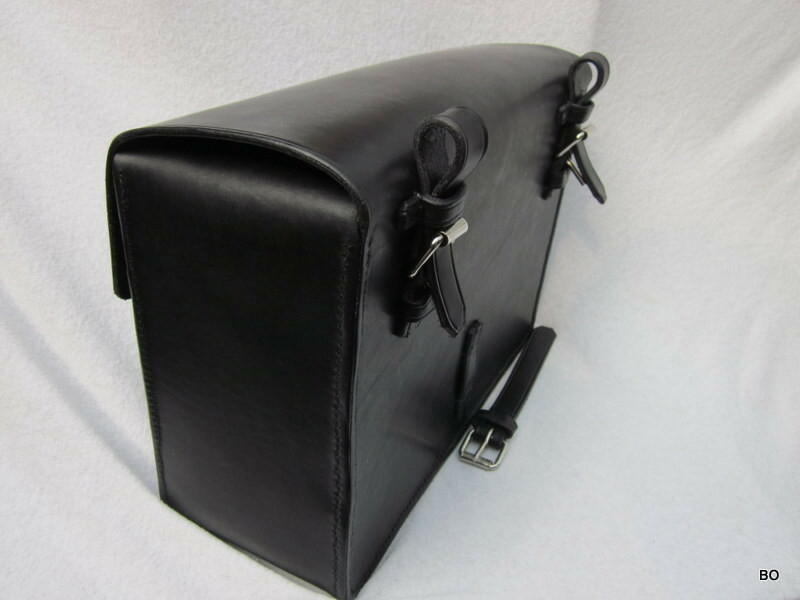 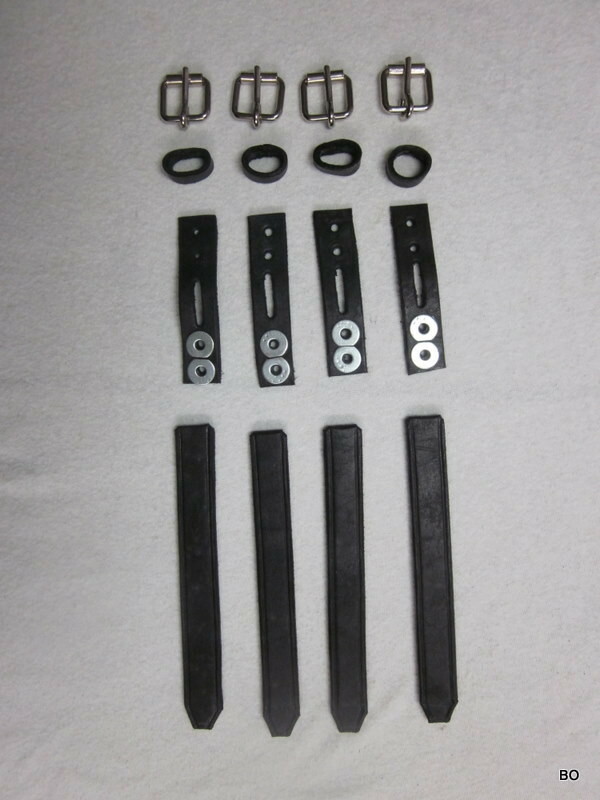 Installing of extra security straps in leather for synthetic bins or suitcases (all brands). 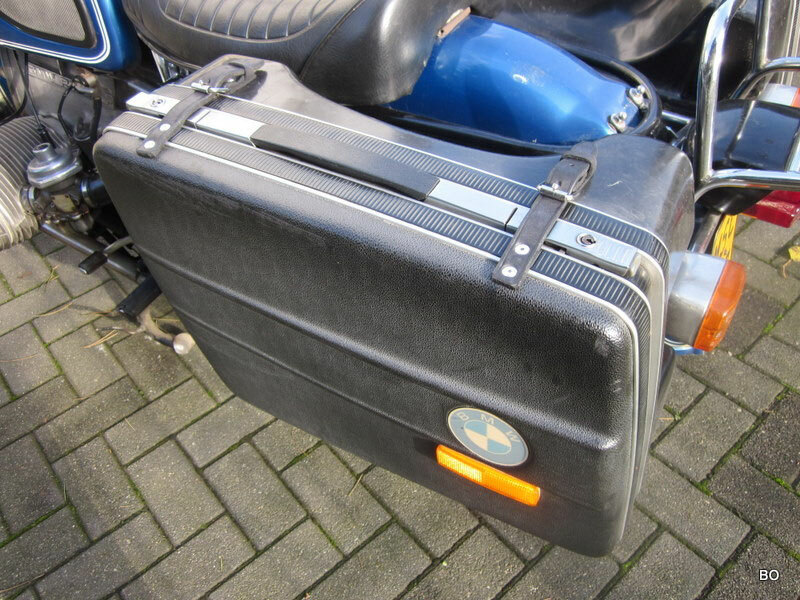 Here BMW Kreuzer-bins.